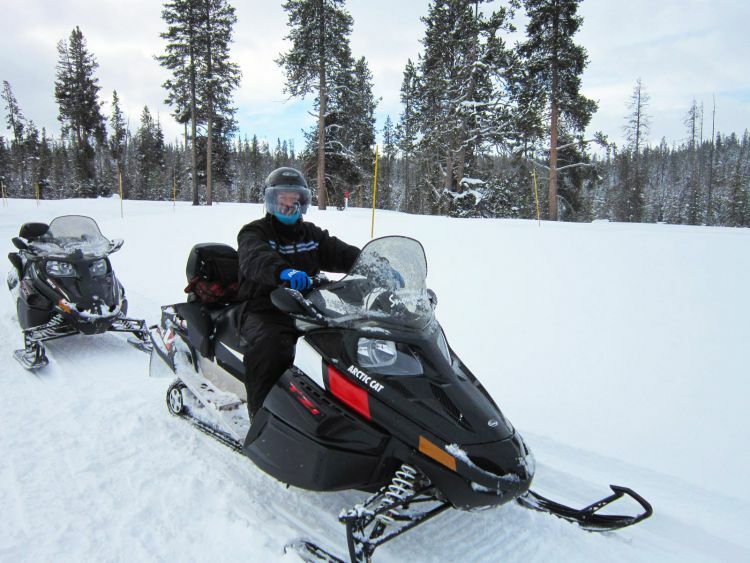 Speed your way through Yellowstone National Park by snowmobile! 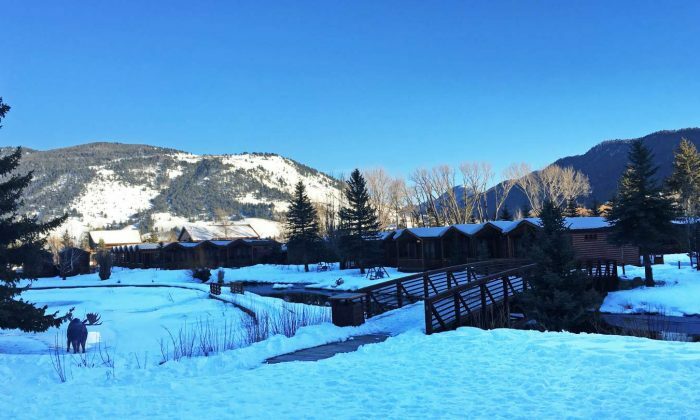 There are numerous day trips to take in Jackson Hole, Wyoming during the winter months. 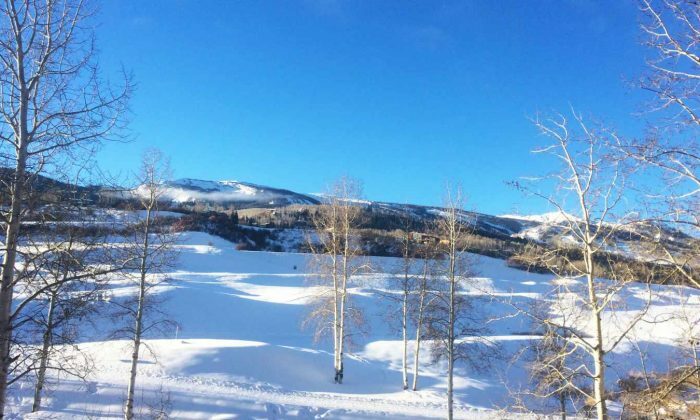 To give your legs a break from skiing or snowboarding the challenging terrains of Jackson Hole mountain, why not consider giving snowmobiling a go. 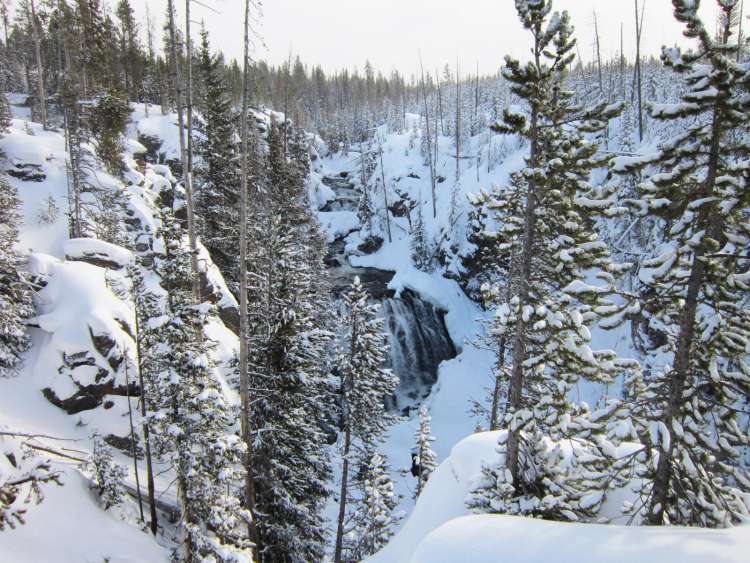 With snowmobiling tours, there were quite a few to choose from – ranging from either exploring Grey’s River, Togwotee Pass to Yellowstone Park. 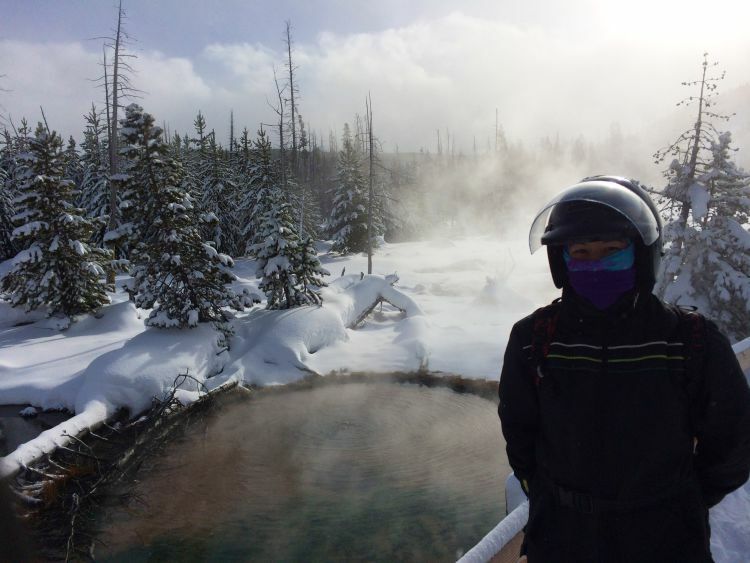 After much toing and froing, we finally decided on the Old Faithful Tour, where you snowmobile through Yellowstone Park and also stop at the Old Faithful geyser. This is one of the most popular destinations to choose from. 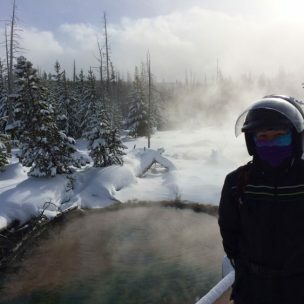 Exploring Yellowstone National Park by snowmobile is such a unique experience and you don’t need to be super fit either, which makes this suitable for everyone. 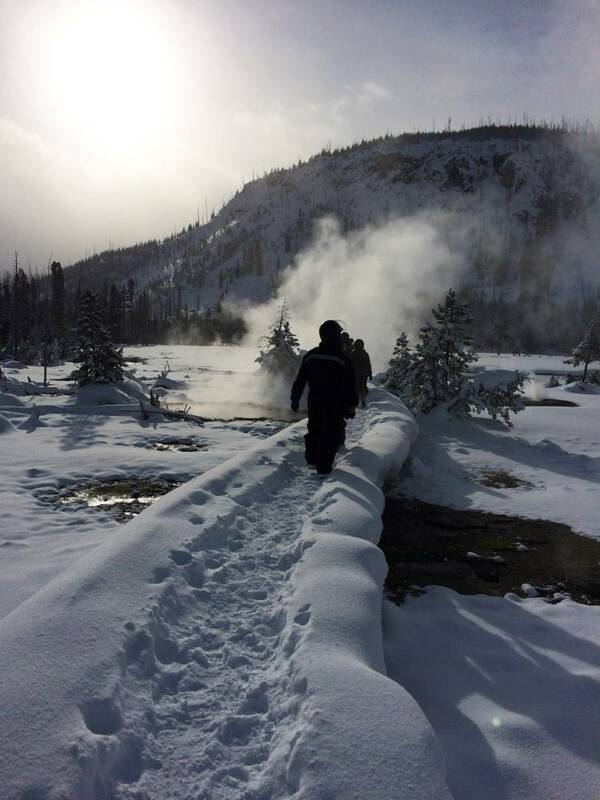 Yellowstone National Park is famous for its vast area of back country, beautiful scenery and the many geysers. 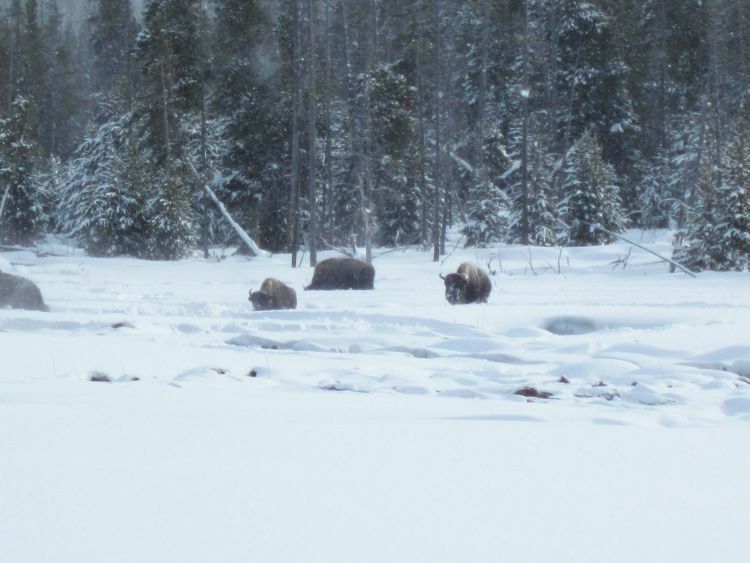 The national park is also home to lots of diverse wildlife such as bison, elk and the big grizzly bears. 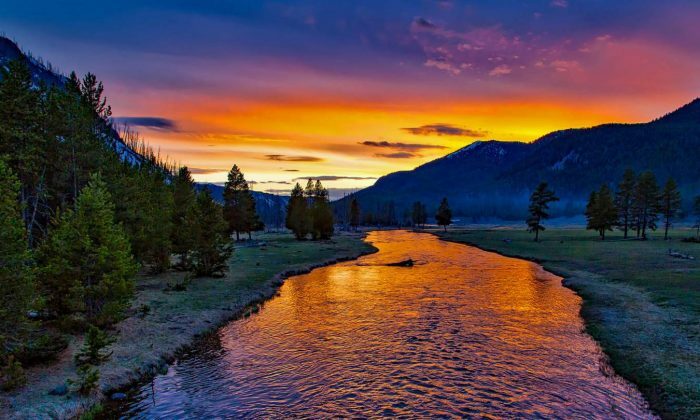 Jackson Hole is the perfect base to explore Yellowstone Park, with it being only 60 miles away from the South Gate. 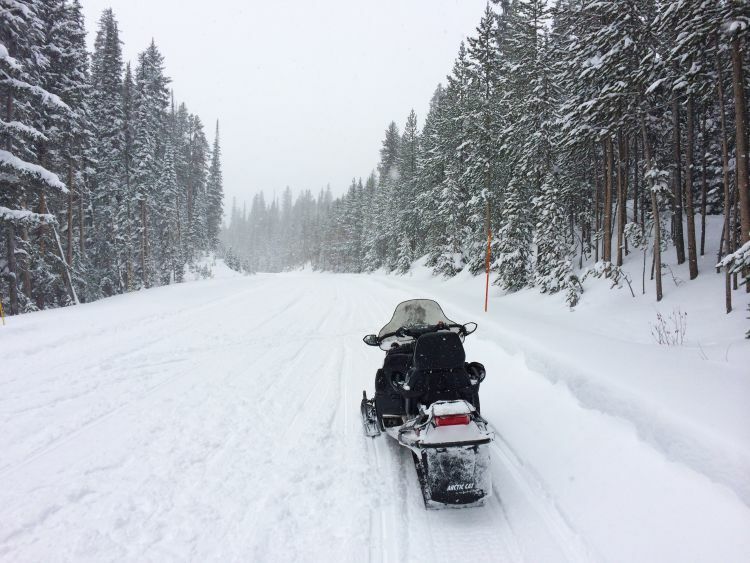 Snowmobiling is the best way to explore Yellowstone, cutting through the fresh powder whilst enjoying the wintry landscape. A day tour is ideal with the chance to take photos at the many spots along the way. However if you don’t fancy a day tour, you can also opt for a half day tour. The trip started with an early pick up around 6.45am from our log cabin via a shuttle bus to the office. We picked up a few people along the way and once we arrived at the Jackson office, a continental breakfast was provided; juice, coffee, teas and pastries. Next up, we were kitted out with our snowmobile gear. No chance of feeling cold during the trip, since we were provided with boots, jackets, trousers, helmet with a visor and gloves. Underneath the snowmobile gear, we did have a few layers on as I especially feel the cold more than Ian. All suited and booted and ready for our exciting adventure! Tip: It can get bright out there so goggles or sunglasses are a great idea to bring along. After a 65 mile shuttle bus ride, we finally arrived at the South Gate where our adventure awaits. There was a choice of riding your own snowmobile or as a double – I accidentally left my driver’s license at home which resulted in sharing the snowmobile with Ian. Oh no, did I mention that Ian is a bit of a speed demon! The guide showed the group how to work the snowmobile, the do’s and don’ts, not to overtake each other and to try and follow the tracks in the snow. After the briefing, we were ready to go go go! Off we went snowmobiling through the soft snow, following the tracks. 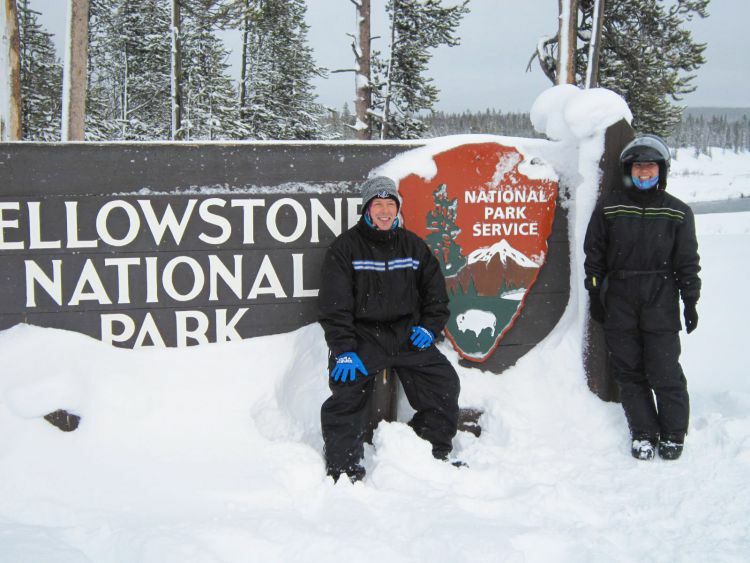 The first stop …..take an obligatory photo next to the Yellowstone National Park sign. I’m afraid it has to be done. Snap, snap, click, click with the camera – back onto the snowmobile and away we go. Holding Ian tightly as we zipped through the snow, I noticed how the scenery kinda reminded me of Narnia. With the thick snow layered on the tree branches the forest felt so enchanting … It’s best to follow the tracks in the snow as was mentioned, as it’ll feel a bit slippy slidey when you’re driving through the fresh powder. An hour into our trip, I just so happened to turn around and noticed that two people in our group had disappeared. Oh no where did they go?? We signalled for the guide to stop and off he went to find the missing people. Whilst waiting for the rest of our group, we couldn’t help ourselves but to take a couple of silly pics with our snowmobiles. Yes, we’re so easily entertained ha ha! 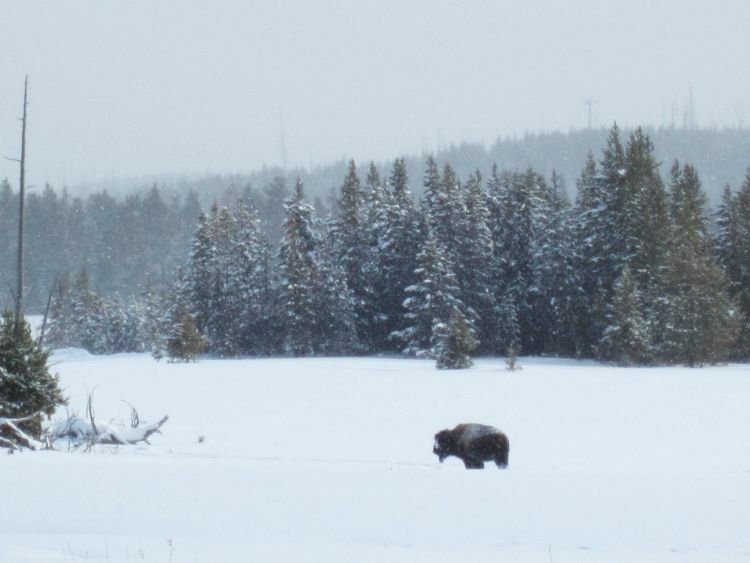 Along the way we stopped off to view the flowing rivers and even spotted a bison in the distance, slowly walking through the thick snow. We parked up and headed towards the Old Faithful geyser. Old Faithful has become one of the landmarks for the national park and was named by the Washburn-Langford-Doane Expedition in 1870. 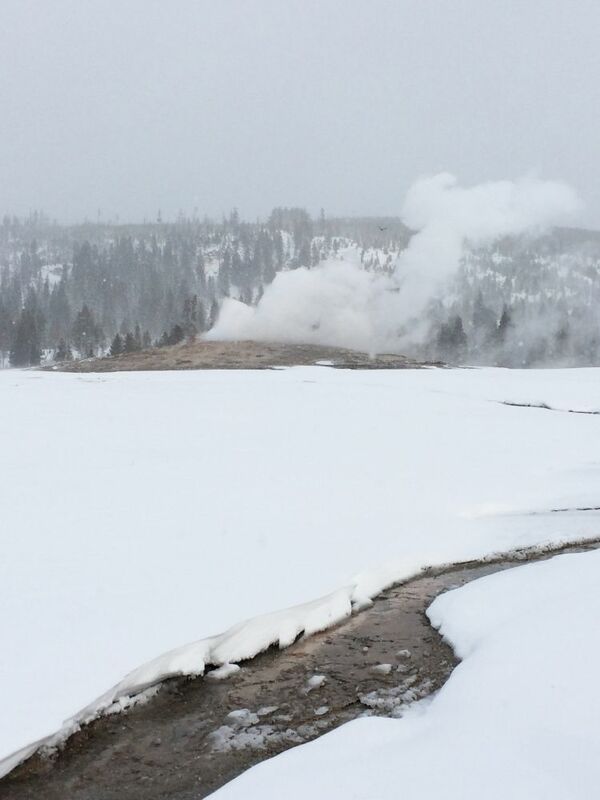 Did you know that Old Faithful can blast out boiling water at 3-56m high into the air? 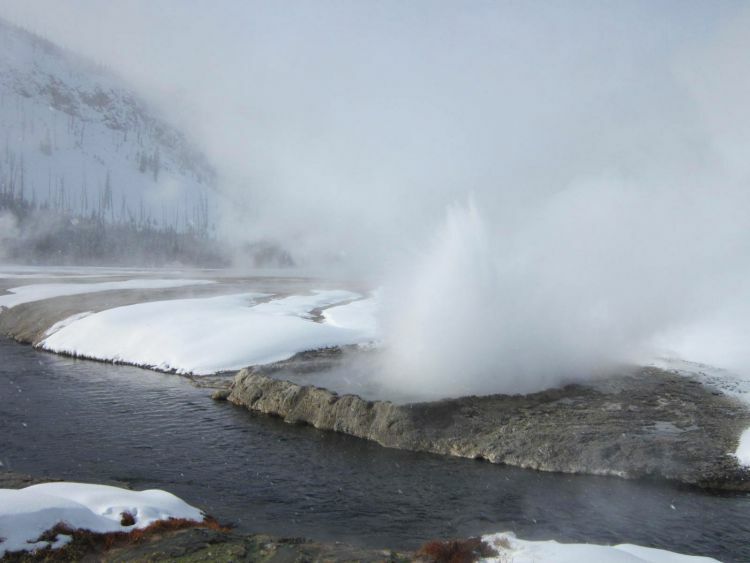 The geyser erupts around 90 minutes apart. We waited patiently for the geyser to erupt, with our camera in hand ready to take those perfect photos. Teeth chattering away, we started to shiver wondering when it would happen. Someone shouted, ‘Get ready with your cameras’. 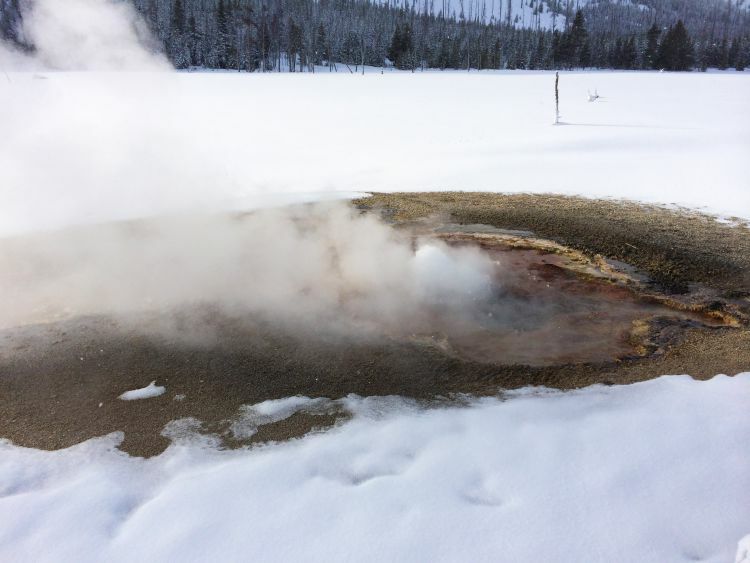 All of a sudden, Old Faithful erupted and gallons of steaming hot water came shooting up into the air. Well worth the wait! Having waited for the Old Faithful eruption, it made us feel a bit peckish. Luckily it was time for lunch and we couldn’t wait to fill our bellies. Walking into the log cabin, a long table had been laid out for our small group. Red and white chequered table cloths with bowls filled with a beef stew, served with baked bread rolls. Such a warm and rustic feel! The stew was delicious, so hearty and wholesome … perfect with the bread to soak up the sauce. Cubes of various cheese were also available to nibble on. Hot and cold drinks were provided with the meal, including bottles of water. 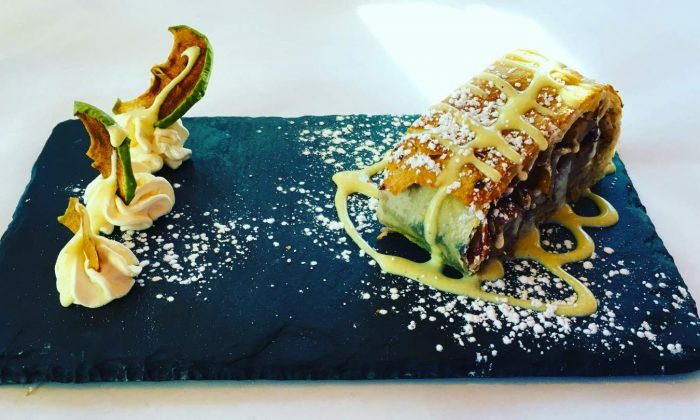 Seconds anyone? 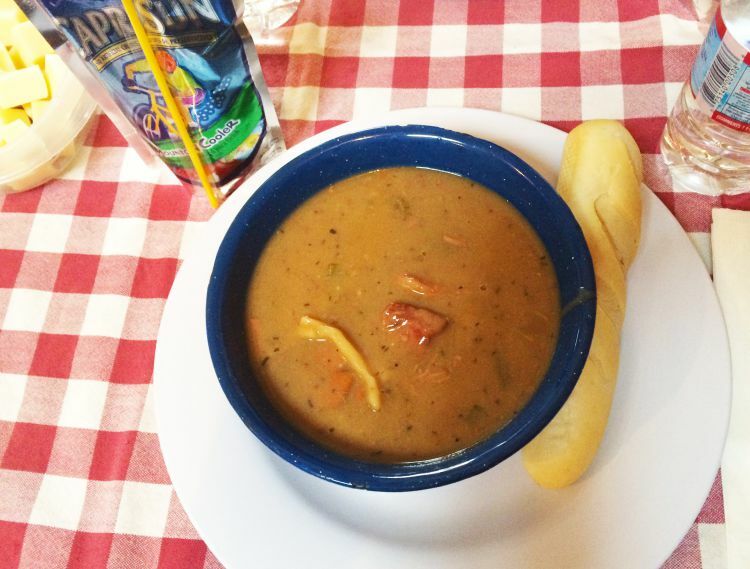 Oh yes, how could we say no to this wonderful stew! I’ve got to say, Jackson Hole offers fantastic tasty food. After filling our tummies up with food, it was time to head back out. 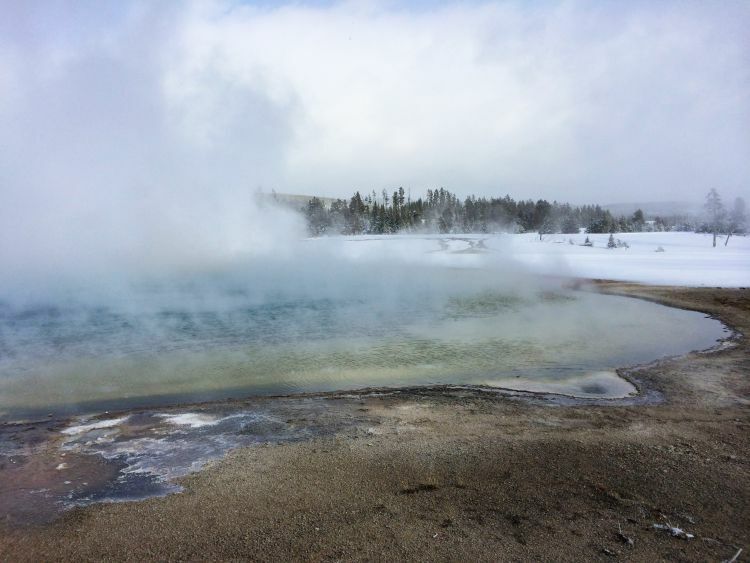 Next stop was Black Sand Basin – a collection of colourful hot springs and geysers. 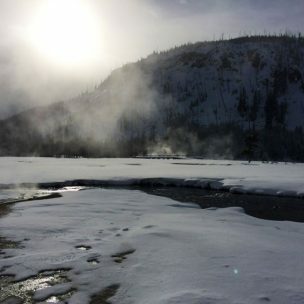 Black Sand Basin is a small geyser basin and is named so, due to the black sand from the volcanic glass (obsidian) covering parts of the basin. 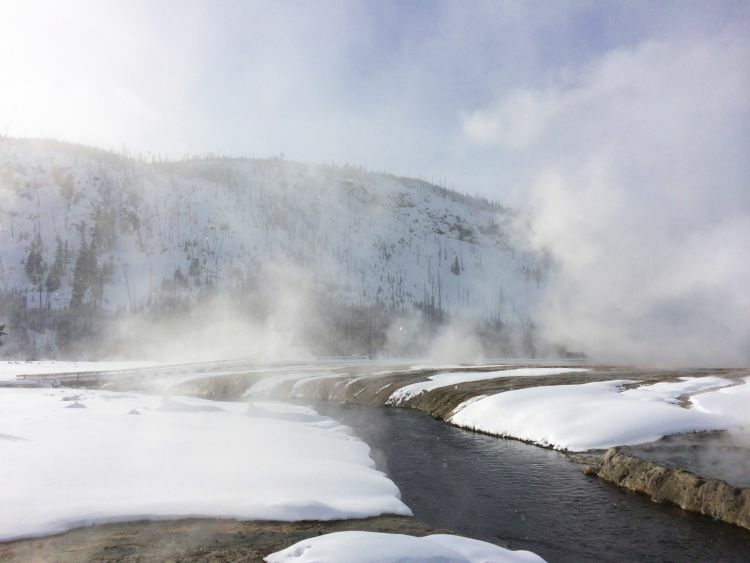 Walk along the boardwalk and view the many colour waters of the pools, watch the Cliff Geyser erupt to 40 feet and the Spouter Geyser shoot up to 7 feet. 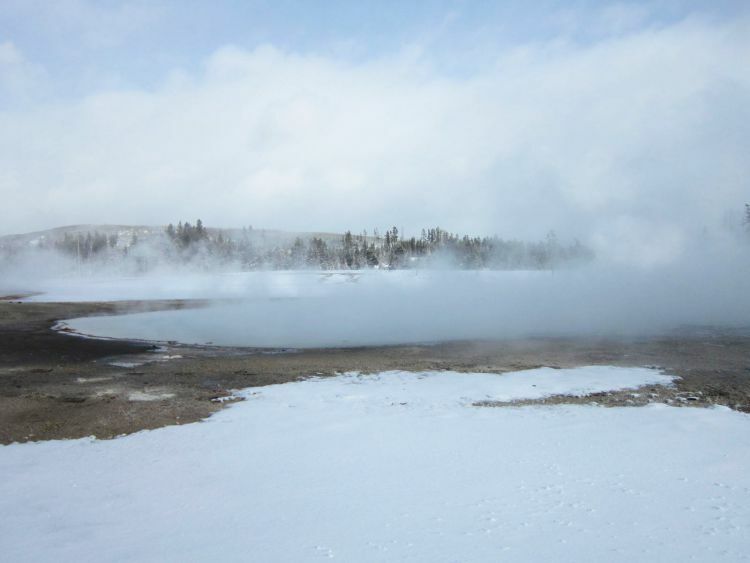 The temperature of the water from the geysers can reach up to 199.9°F! Gosh, I wouldn’t want to be standing too close to them when they start sprouting madly. Standing by a hot spring – was a bit cold! 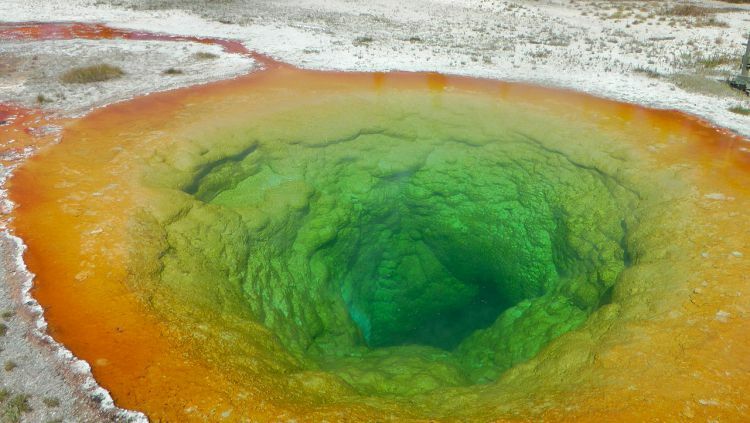 The most famous of the springs is Emerald Pool and it’s also the major attraction at the geyser basin. What you’ll first notice is the beautiful emerald green colour of the pool and the vibrant rings of colour. The emerald green water is due to the algae and yellow bacteria growing in the pool due to the lower temperatures. With the clear blue water in the pool, all the other colours in the spectrum are absorbed except the blue, which is then reflected. The reflected blue light and the yellow from the sulphur, produces a spectacular emerald green colour. Back in the day, another popular pool was the Handkerchief Pool located near the Rainbow Pool. Handkerchiefs were dropped by the tourists into the pool and would be sucked down by the convection currents. Then a few moments the handkerchief would appear to be super clean. Nowadays, this pool is not used and hasn’t functioned since 1929 – vandals ended up plugging it with coins, rocks and bottles. You can still visit the Handkerchief Pool, but don’t bring any laundry to be cleaned! After the walk around Black Sand Basin, we started to make our way back. Now, things always happen to us. Ian was driving the snowmobile and we must have come out of the tracks and all of a sudden the snowmobile skidded sideways towards the edge of the cliff. As the snowmobile skidded to a halt, Ian was still holding onto the handle bars in the seated position but I somehow ended up sliding underneath the snowmobile. Ian’s first reaction was … Oh my god was I hurt? Were my legs crushed under the snowmobile?? However I was too busy laughing my head off. I’m afraid we don’t have photos of this incident, we were too busy trying to dig our snowmobile out of the snow with our guide. Didn’t I tell you … things always happen to us! What an adventure – a trip to remember! 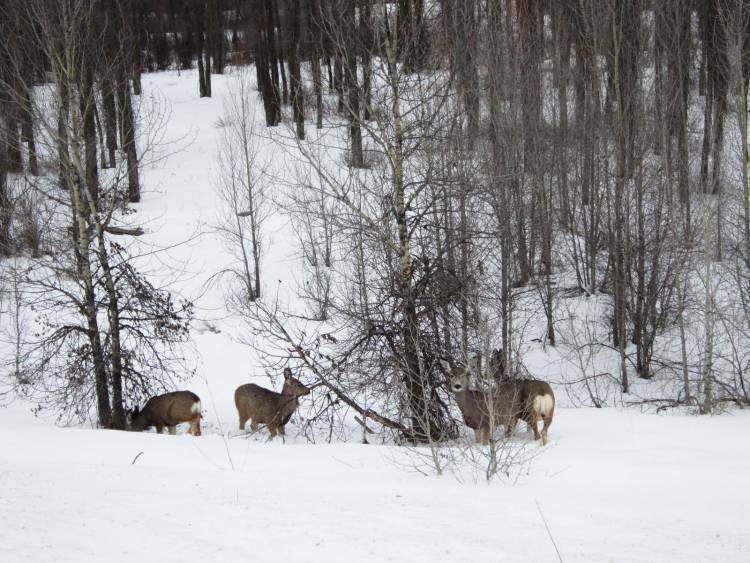 We finally made our way back to Jackson Hole around 5.30pm just in time for dinner. 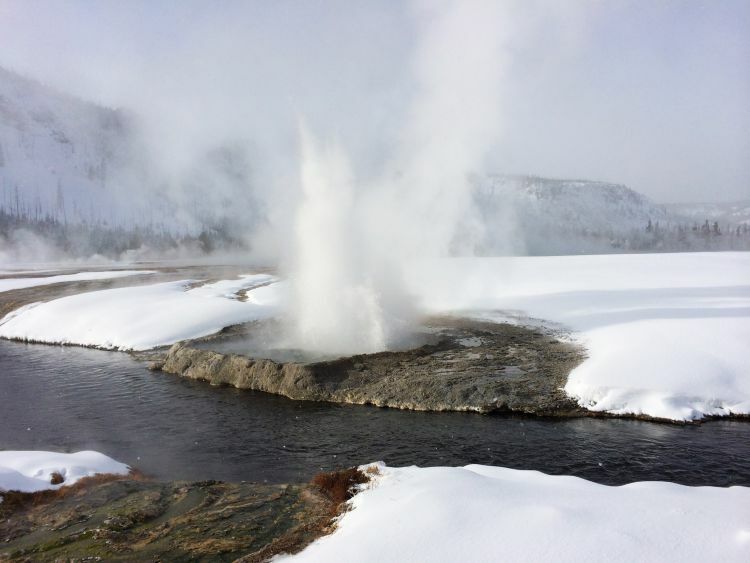 The snowmobile Old Faithful tour is a 90-100 mile round trip, stopping off at various places to spot the wildlife, capture the beautiful shots of the wintry landscape, watch Old Faithful erupt and walk along the boardwalk to view the colourful springs and smaller geysers. 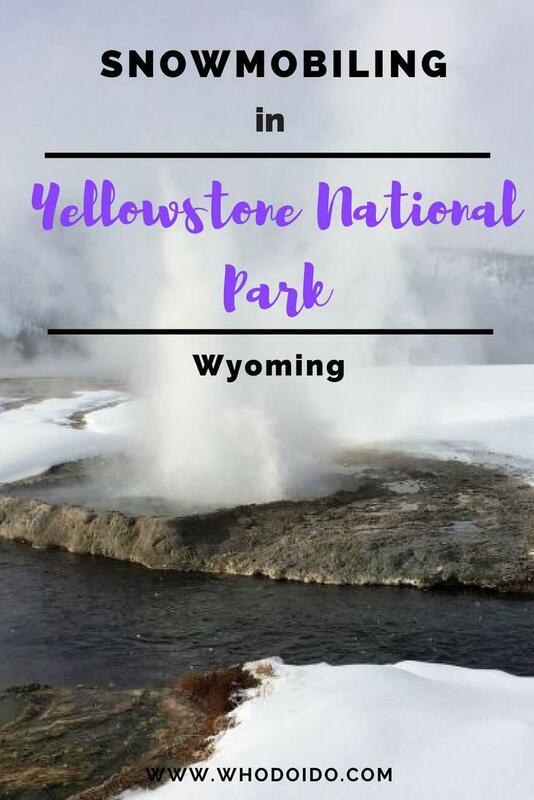 We thoroughly enjoyed our trip and would highly recommend this tour if you wish to explore Yellowstone National Park in a unique way. One day Old Faithful Tour: $325 for a single rider, $175 for a passenger plus $25 for park entrance fee. The drivers must have a valid driver’s license and be aged 16 years or older. 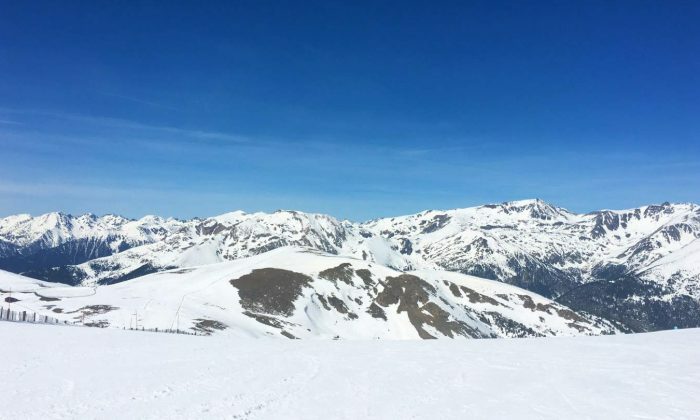 Have you tried snowmobiling? Where did you go snowmobiling? 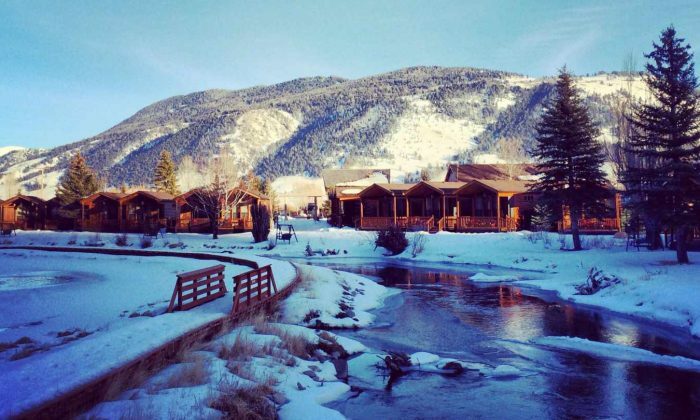 Check out our posts on where to stay and where to eat in Jackson Hole. Lana, this looks like so much fun!! I love all your pictures and for all the fun things you can do!! This is great!! What an amazing place! This is going on my to-do list for sure! Can’t believe the colour of that water hole. 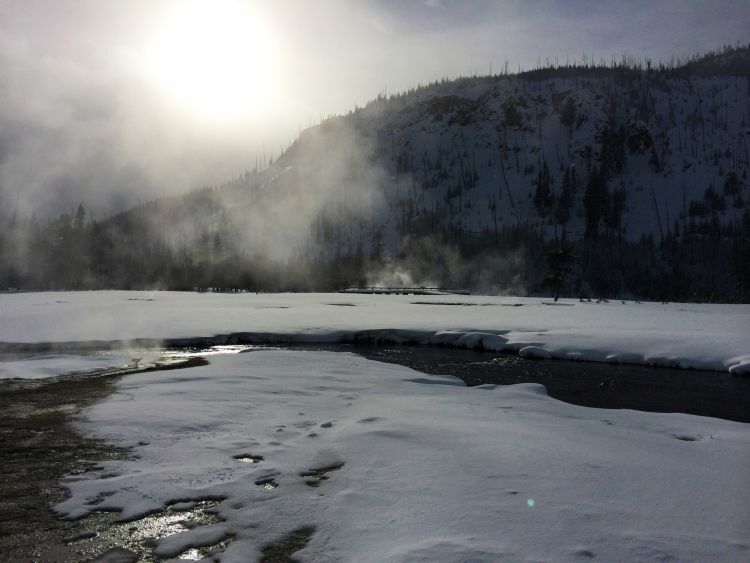 Yellowstone Park is awesome… You would definitely love it there! Technically I love sea but these pictures are just wow…. I’m not a morning person at all but for a fun day of activities like this, I guess it’s not so bad. The scenery is breathtaking too. Talk about a perfect winter wonderland!!! The price seems a little high though but I guess most snow activities are pretty expensive. Would love to try this! Of all the places in the US, I’d really love to see Yellowstone. The geyser reminds me of my time in Iceland, and it was really worth the wait! 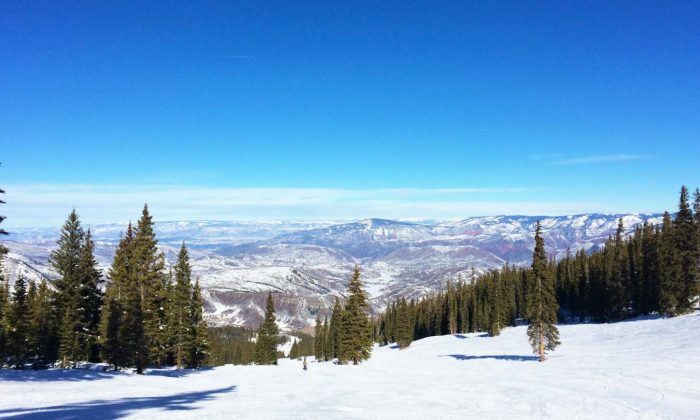 Snowmobiling looks like so much fun; is it difficult for first-timers? You managed to take some great photos too, will add this to the list, if I ever make it there in winter. Wow, I’ve heard a lot about Yellowstone National Park, but these photos are truly beautiful. Not much of an active vacation person, so snowmobiling is not for me. I would definitely go for a much more laid-back tour. Snowmobiling is suitable for all ages. Definitely worth exploring Yellowstone though. I am not fond of the snow. 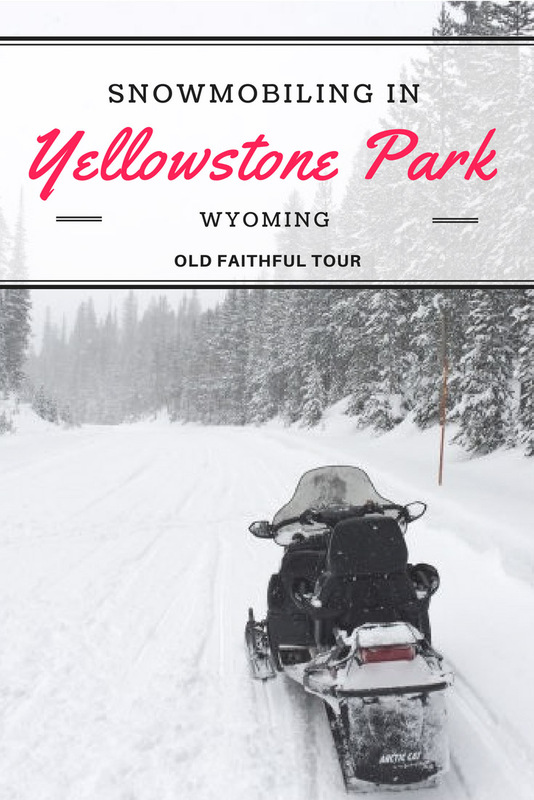 But visiting Yellowstone NP and the Old Faithful by snowmobile?! I am IN!!! It must be a wonderful adventure! Ha Ha Jellystone and Yogi bear! I’ve not been to Finland but would love to go. The pools are so colourful there – we just took it with our phones. When the snow has melted, I’ve heard that the colourful pools are spectacular! The rainbow spring photo looks so surreal. How did you take it? 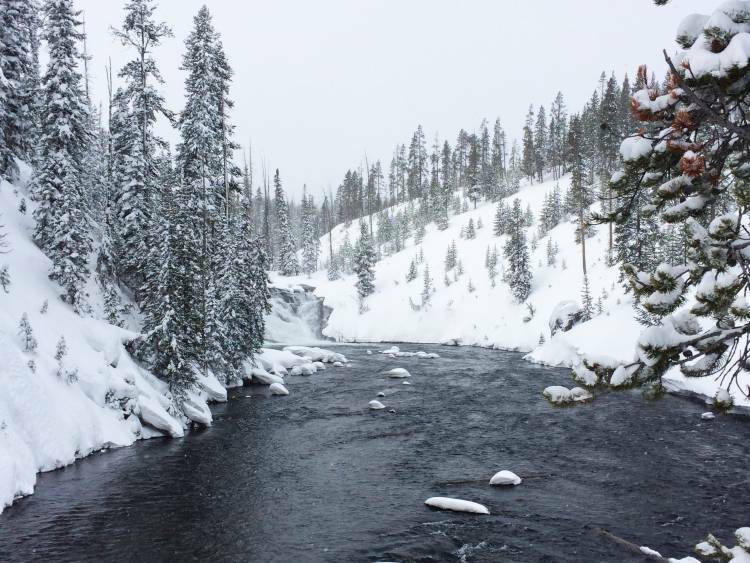 Overall, I really love snowmobiles and this national park looks like a good place for it. I did it in Scandinavia before. 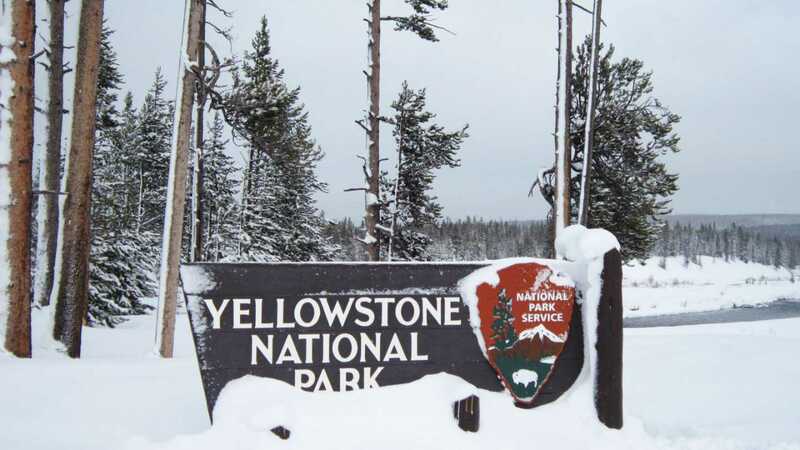 That looks like a great way to explore Yellowstone during the winter when it’s a major pain to go hiking. I saw you had a capri sun, that is totally the drink of my childhood haha. I can’t even begin to say how many times I had issues opening those pouches and spilling my drink everywhere. Rainbow pool looks super beautiful, is it sad that I’d be more amazed to see that than Old Faithful? I feel like the pool looks even nicer when you went in the winter since the colors stand out more against the white snow. I totally need to visit Yellowstone ASAP!